Calendar Marketing, especially marketing online events through email is standard practice today. Email is the most effective way to communicate to your audience, it is cost effective and the person has given you “permission” to communicate with them. 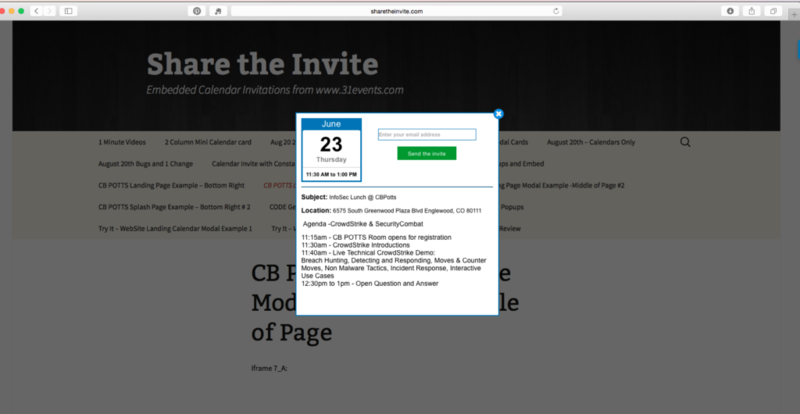 In the example above, LeadPages is presenting two count-downs clocks for a webinar to be presented on two different days. You’ll notice, there is a button to “Claim Your Spot” which takes you directly to their registration page. This process of EMAIL to REGISTRATION is repeated 1000’s of times per day through email. It’s worked for years and continues to drive traffic, and is a great approach. In the example above, when someone clicks on the button, they go to a webpage to register. LeadPages is better than most, since they sent the email and have your contact information, they pre-fill the registration page. When you clicked on the button, you were automatically sent a Calendar Invite (meeting notice). It now lives in two places – in email AND the calendar. Even if the email is deleted, the calendar invite is there – with your event information and a reminder popup about the meeting (set by you). In the Details of the calendar invite, this is where you provide registration links – you can provide an incentive to register – or just ask. 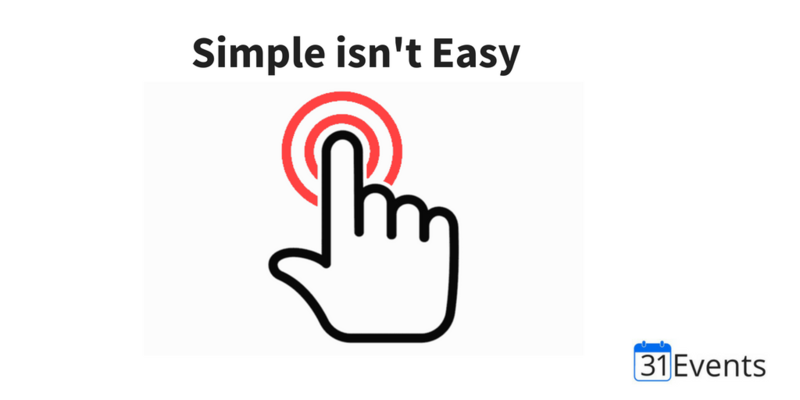 You provide the details of how to attend, and your customer has all the information right in their calendar, without having to fill in another form, click another button or do anything. the above is from our Pinterest board. 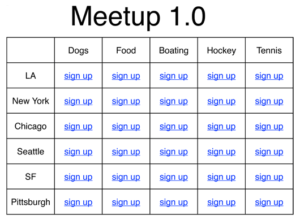 See more examples of using the calendar to market your time-based events. A long, long time ago, I sent my 1st Calendar invite. Probaly some 15 Years ago, when I worked at Netscape. In those days it was a new, exciting and “my secret weapon” to meet with a customer or prospect. It was the beginning of corporate scheduling of people, time and resources. Or I would argue the birth of “Calendar Marketing”. Today, in the digital world, the Ical invite is just part of the modern B to B world we live in. If you want to get on somebody’s calendar, you send an invite. If they accept, you will call them at that time, or meet them @ the Restaurant. Etc. We see it on the iPad, the phone and the desktop — someday’s I get an alarm at the same time on all 3 devices! It really works and I would be lost without having my Calendar. So, I built a software tool called 31events.com about three years ago. I said, I love this calendering so much, I need to build something I can use in my day to day, to help enhance my chances of people showing up to my events on the web or in person, – seminars . But more than that , I thought — why can’t we use this same approach to consumer B to C emails , or B to B web marketing ? We can generate codes to embed into your website for a Calendar Modal, or email template. In the email template, you can use the email to generate a “Click Here” now, and we “hook” the email address to the Calendar invite and send to them a Calendar invitation that you can track- Accepts or Denys. In addition we can add Coupons and Tickets as URL’s into the Calendar invite. Of course it has a Rest Api as well. I think my Samsung Refrigerator has a Rest API ? — LOL. We define this category as “Calendar Marketing”. The ability to track and share Calendar invites for any type of events where you would like to gather and use all the great reminders that are built into the Calendaring specification. They include notifications, driving directions, reminders — etc , all built into the Ical specification. They also look great on the Apple and Android watches. 2018 Update. This modal was designed a few years ago and shows the simple design of using the splash page for a calendar event sign up to be tracked with our calendar reporting software. We will be releasing our 2018 software on AWS soon and will be updating how to achieve this in our builder series. https://calendarsnack.comIt’s all about timing. 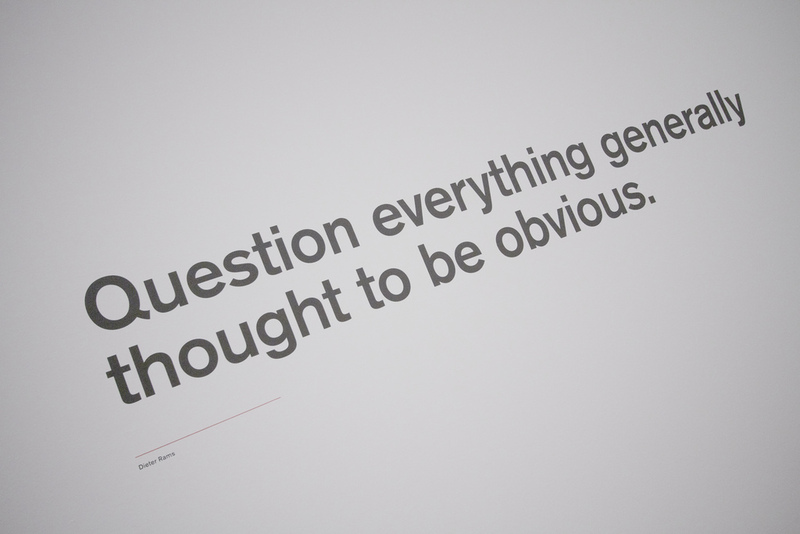 Chances are you’ve heard this phrase before, but how often do you use it to your advantage? Let’s take a look at how you can nail your timing when it comes to getting in front of your customers. If you’re trying to get your customers or potential customers to attend an event, you can do all the right things to get them there, but it comes all down to that calendar reminder. Many people in the corporate world live and die by their calendar. You could look at your schedule 10 times a day, but the reality is you get absorbed into whatever it is you’re doing and you need that trigger to snap you out of it and send you along to the next event. A well-timed notification can make or break your event. That is, if you can get on your customer’s calendar in the first place. It all starts with the email invite, subject to father time as well. According to marketingprofs.com, 44% of B2B businesses say sending emails on Tuesday results in better open rates and 53% have had the most success sending emails between 8 am and 12 pm. 53% say Friday is the worst day for email open rates. 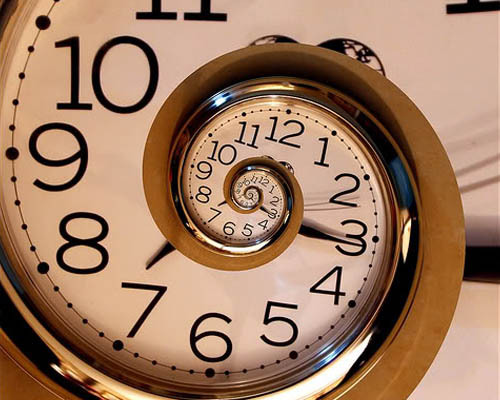 This tells us that sending early in the week and earlier in the day should yield better results, proving that the early bird really does get the worm. Once you’ve gotten your customers to open your email and add your event to their calendar, you need to think about the timing of your reminder email. While you may be temped to send out multiple reminders, keep in mind that too many will make you seem desperate and needy. Stick to one a few days before and then allow your calendar invite to do it’s job with the preset reminder time, typically anywhere from one hour to 15 minutes prior to the event. By putting a little thought into the timing of your event and reminder emails, you can boost event attendance and gain new customers in the process. If you’re looking for ways to streamline your event marketing, Give it a try at https://calendarsnack.com.